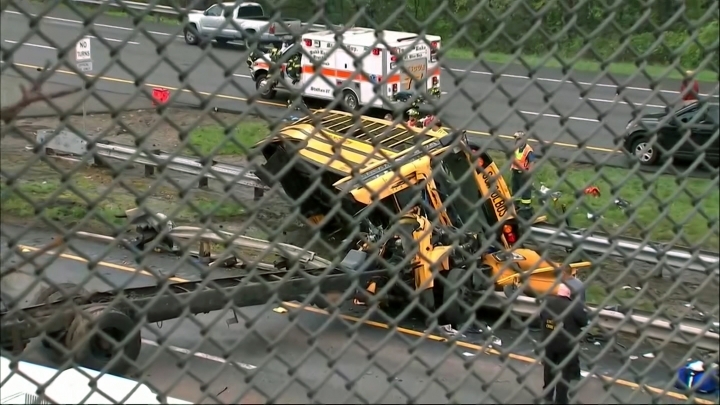 MOUNT OLIVE, N.J. — A school bus taking children on a field trip to a historic site collided with a dump truck on Thursday, ripping the bus apart and killing a student and a teacher. 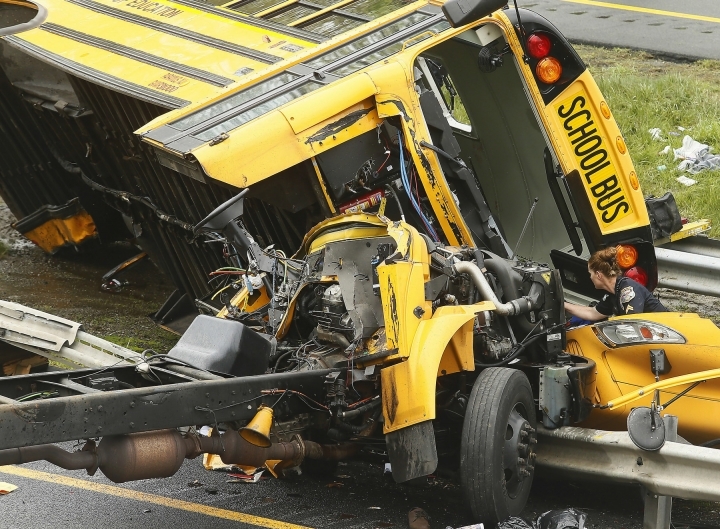 Fifth-grade student Theo Ancevski, who was sitting in the fourth row of the bus and was treated at a hospital for cuts and scrapes, said he heard a scraping sound and the bus "toppled over." Gov. Phil Murphy said one adult and one student were killed. Their names had not been released. 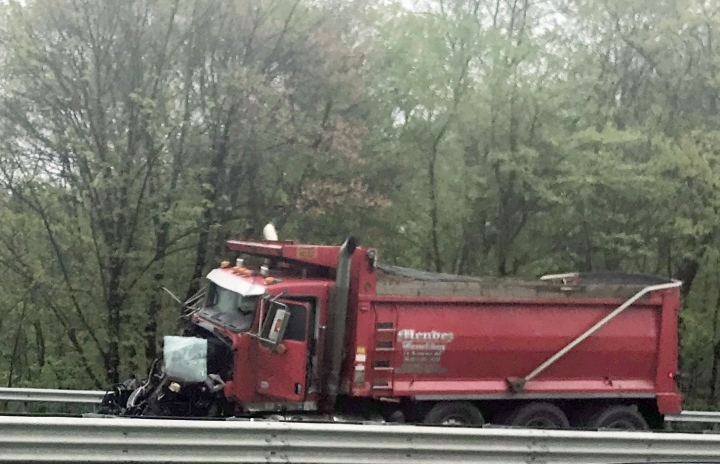 Murphy said the truck driver was hospitalized, but officials didn't reveal his condition. 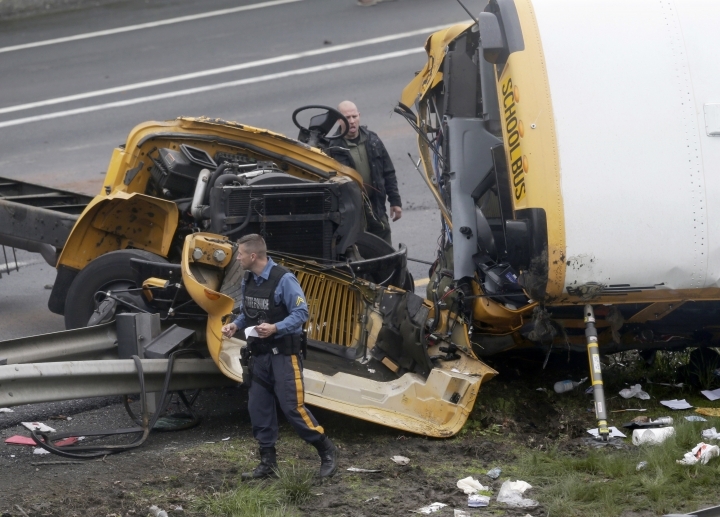 The bus was owned by the school district and had seatbelts, according to Paramus schools superintendent Michele Robinson. 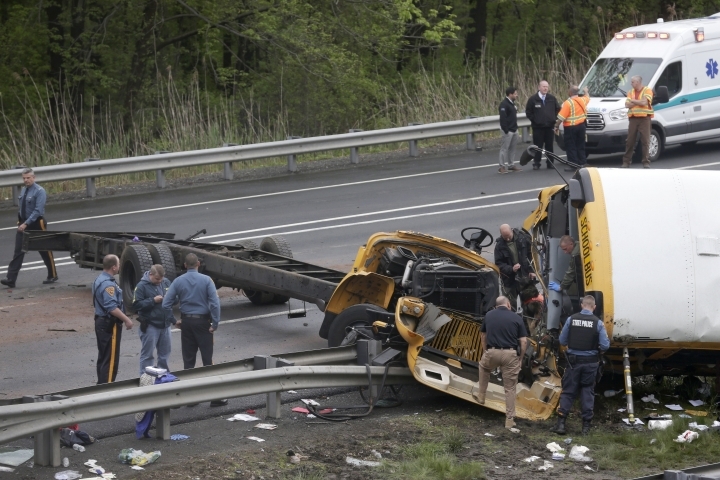 There is no federal requirement for seatbelts on full-sized school buses, but six states including New Jersey require them. The bus was one of three taking students from East Brook Middle School to Waterloo Village, a historic site depicting a Lenape Indian community and once-thriving port about 5 miles (8 kilometers) from the crash scene. The other buses made it to the site but returned to the school about 50 miles (80 kilometers) away. 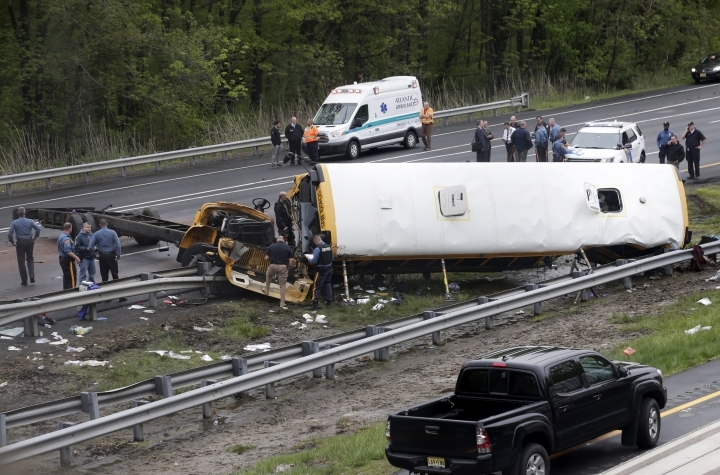 Some of the children were inside the bus and some were outside when first responders arrived, said Jeff Paul, director of the Morris County Office of Emergency Management. 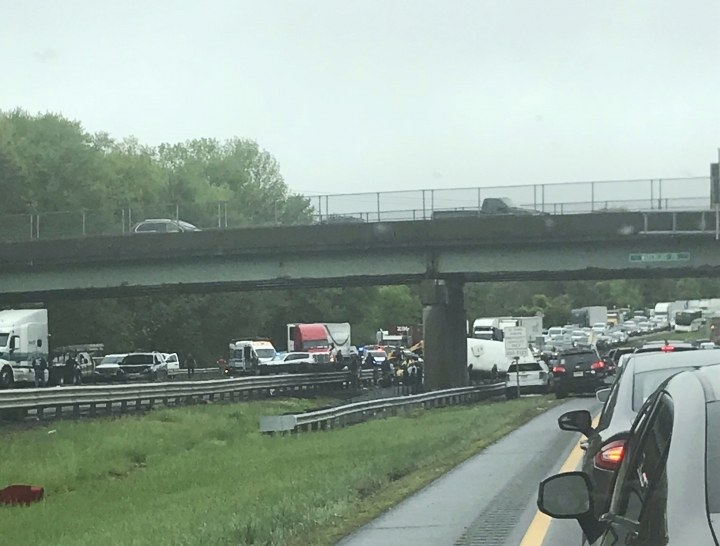 "We had patients laying all over the median and on the interstate," Paul said. "There were all kinds of injuries, every injury type you could expect in a crash of this magnitude." "My heart just dropped. You hear the name of the school ... ," she said before trailing off. Robinson said the district was cancelling school trips for the rest of the year. Mendez has a higher than average vehicle out-of-service rate, which means inspections found violations that had to be corrected before the vehicles could be returned to service. Mendez's rate was 37.9 percent, according to the FMCSA, while the national average is 20.7 percent.